Today was our first CSA pick-up of the season. 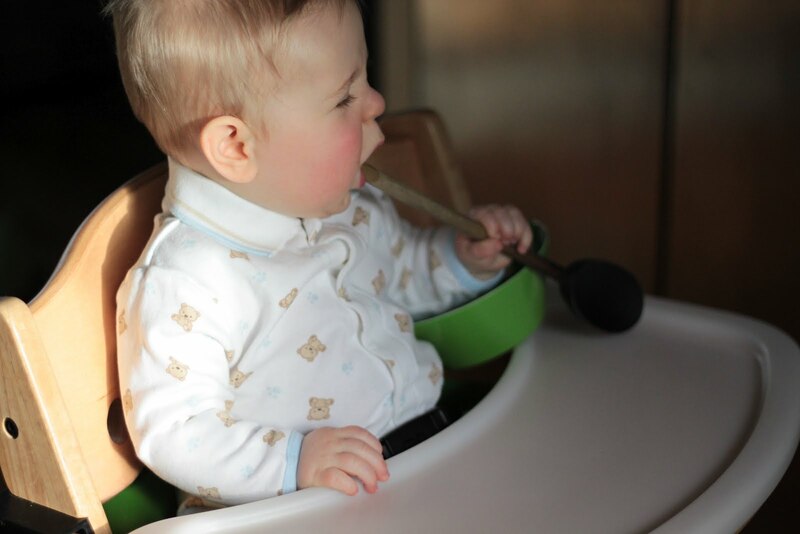 It included potatoes, baby kale braising mix, carrots, beets, butternut squash, leeks and green cabbage. I won the jackpot though…someone put leeks in the trade box. So I got an extra bunch of leeks in exchange for my cabbage! (Not that there is anything wrong with cabbage, but as long as I’m nursing Quentin, I will avoid it. I was traumatized by an ultra gassy night early on). 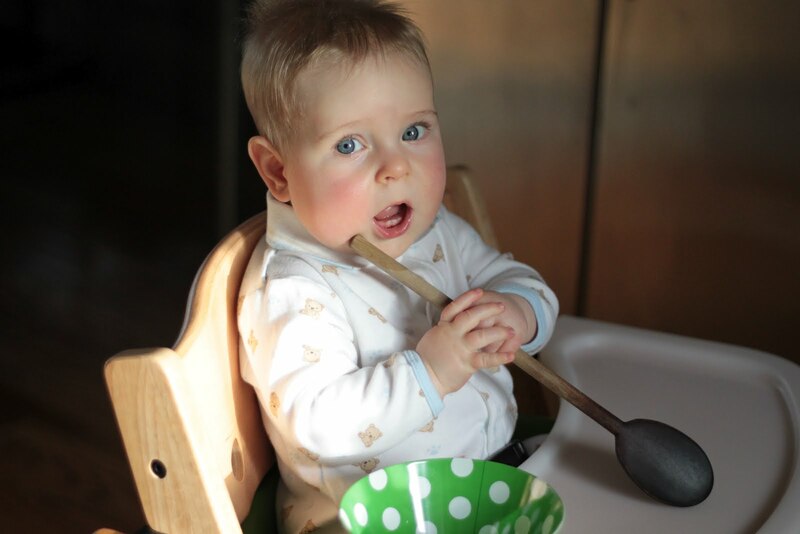 I’ve already made baby food with the butternut squash, and Quentin had some cubed steamed carrots tonight for the first time. He loved them and did so well picking them up and chewing them up. I will probably make him some leek puree with one of the bunches, and a soup for Trevor and I with the other bunch. 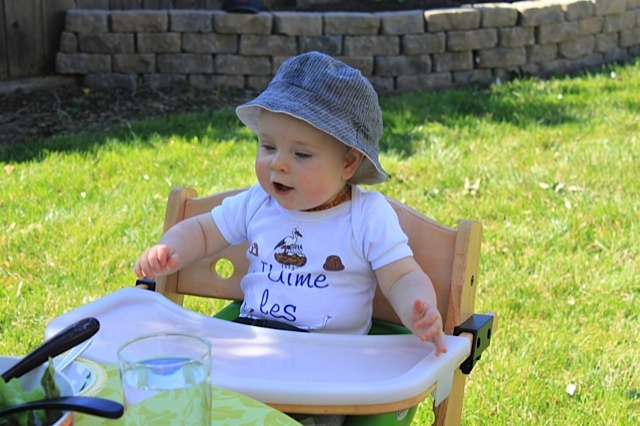 You might think leeks for a baby is kind of weird, but I made him some last week and he absolutely loved them. In fact, he pitched a fit when they were gone. I haven’t decided how I’ll use the other veggies yet, but I’m definitely excited about having our CSA back! 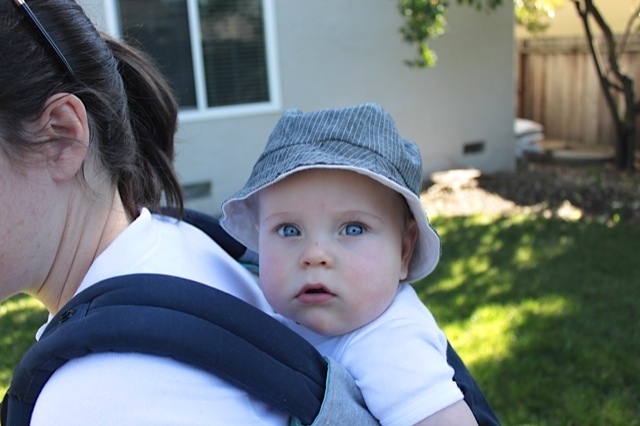 We’ve had very busy weekends for the last month or so, and because of that have been slacking on going to the farmer’s market. The CSA greatly simplifies this problem for us. If you’re local to the SF Bay Area and are looking for a great CSA, High Ground Organics has always provided us with a nice variety of very fresh and beautiful organic produce. We have really loved them. Check them out! This entry was posted in CSA, local, seasonal, sustainable on March 15, 2012 by seedsowingmama. Creme Caramel is one of the very popular desserts that you might make for a family night treat in France. Some people liken it to flan, but I take issue with comparing it to flan because most people hate flan. Creme Caramel is awesome. In order to educate myself of the differences between the two, I did a little googling and found out that flan typically is made with lots of sugar (a cup in most recipes), condensed milk, evaporated milk and/or heavy cream, vanilla extract and eggs. 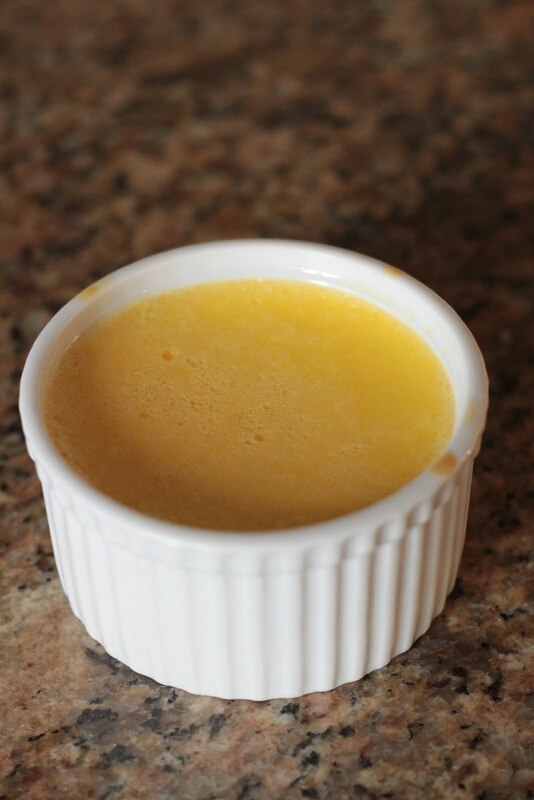 Creme Caramel has much less sugar, real whole milk, a vanilla bean or vanilla sugar and eggs. So eggs are the common denominator. They really are different, though. So even if you hate flan, you must give creme caramel a chance. 1. Preheat the oven to 350 degrees. 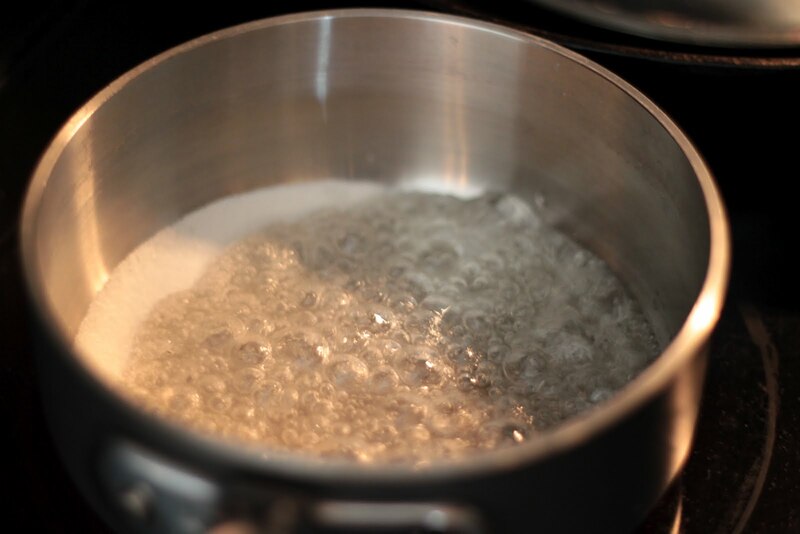 To make the caramel, combine the water and sugar in a small saucepan. Heat on medium-high heat. Resist the urge to stir right away. Once the sugar starts to become golden, stir in any clumps of sugar that remain. They should melt in the caramel. 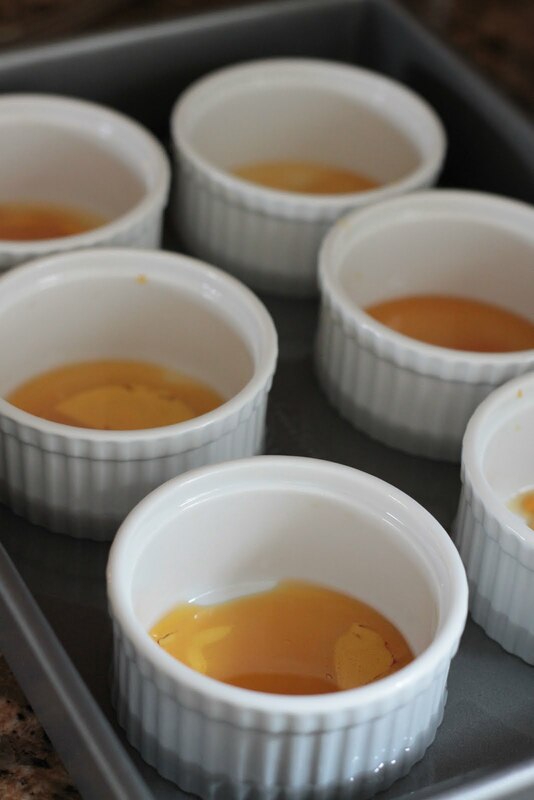 Once all of the sugar is caramelized, remove from heat and pour into 4 ramekins. (Note, in the picture I thought I might be able to get 6 creme caramels out of my recipe. I was wrong…just go with 4). 2. 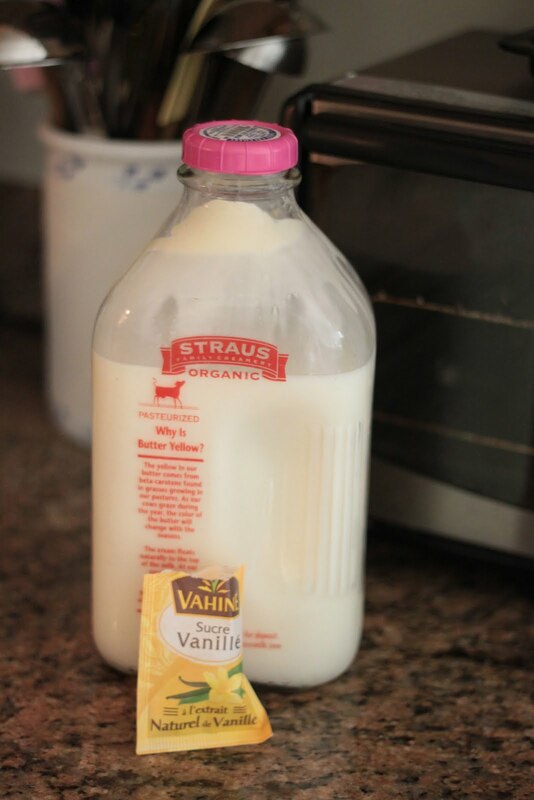 To make the creme, combine the milk, salt and sugar in a medium pot. Heat until the milk just starts boiling. 3. 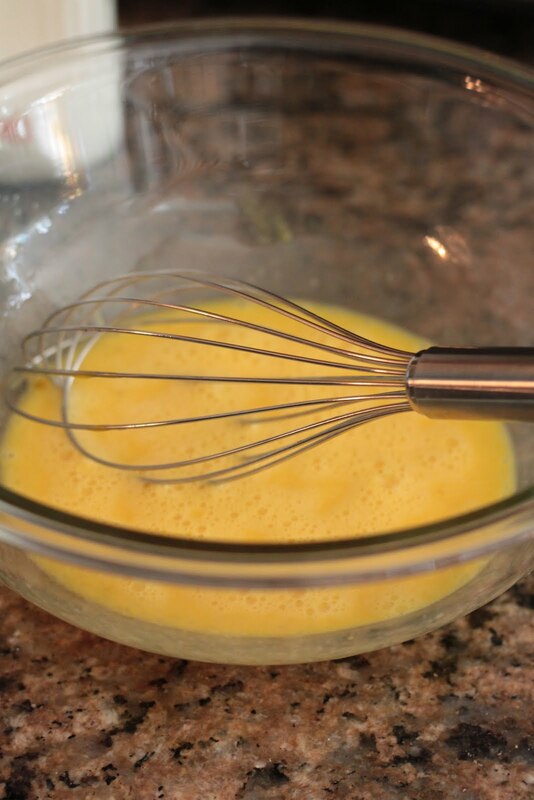 In a separate bowl, whisk the eggs. 4. 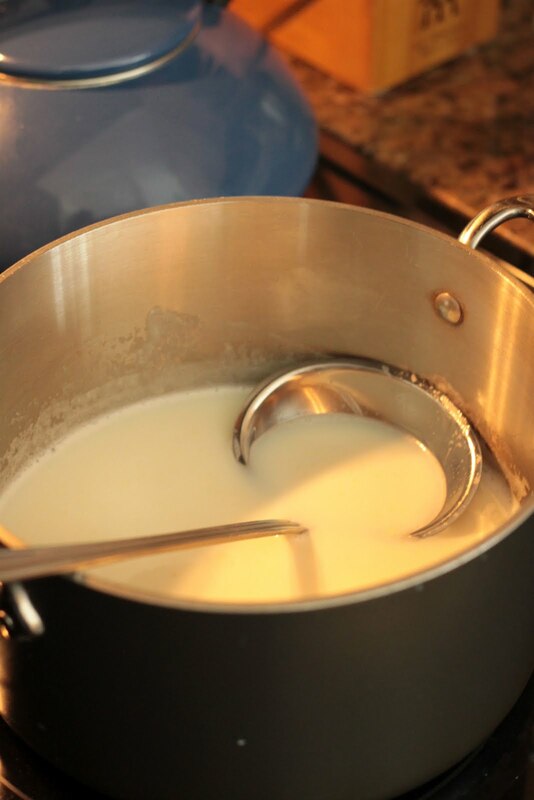 Once the milk starts to boil, pour a small amount of hot milk into the eggs making sure you never stop whisking. If you do, you run the risk of cooking the eggs and ruining the smooth consistency of your creme. 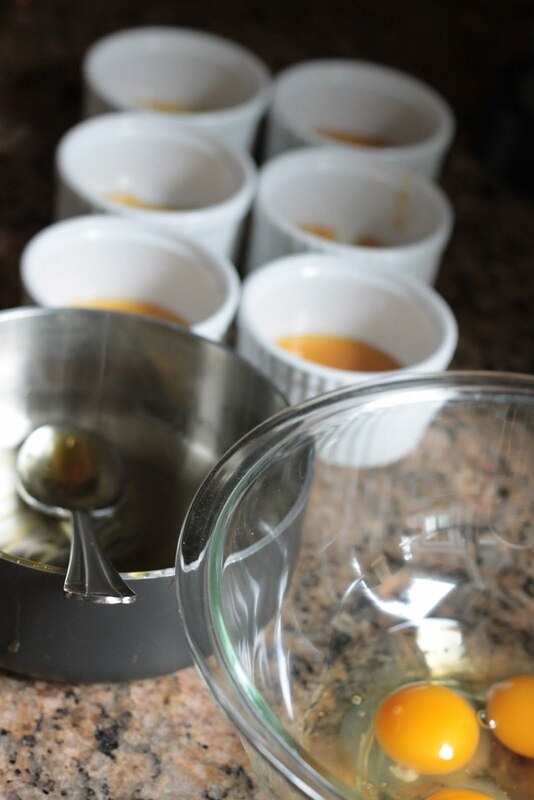 This is probably the hardest part of making creme caramel (and it’s not that hard, promise). Slowly add more and more hot milk, continuing to whisk the whole time. 5. Strain the mixture with a sieve and pour it into the ramekins. 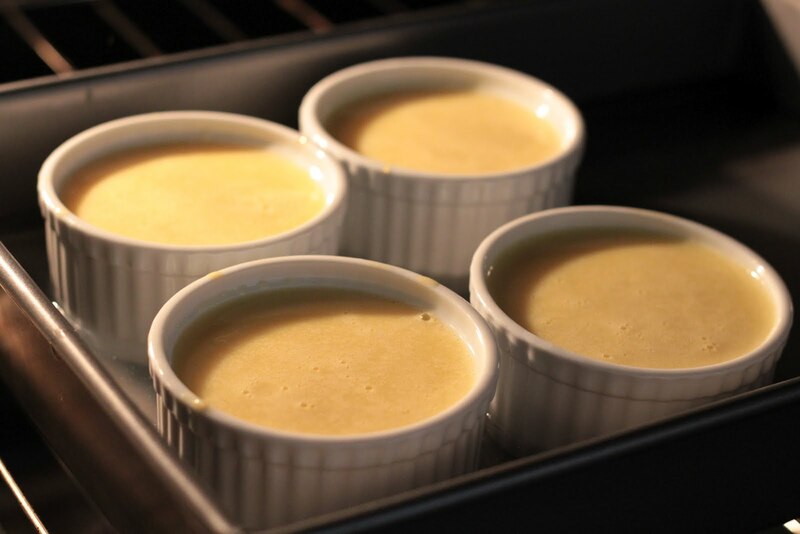 Place the ramekins in a bain marie (you can use any sort of cake pan filled partway up with cool water). Bake for 30-40 minutes. You know they are done when the centers just quiver a tiny bit. Allow to cool completely before serving. 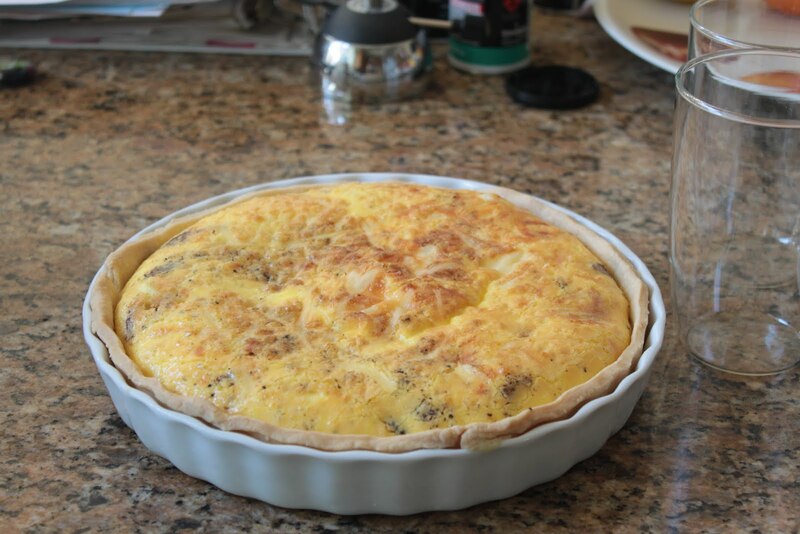 This entry was posted in dessert, easy cooking, french, photo on March 8, 2012 by seedsowingmama. We had a busy weekend. I would say I’m just now recovering from it, and I didn’t even do the heavy lifting. 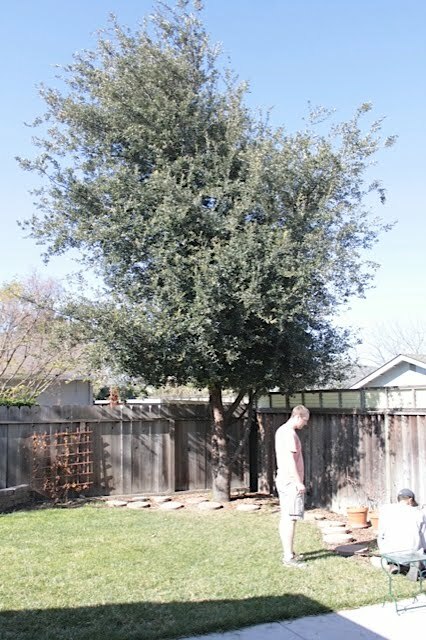 When we bought our house a year ago, we knew right away that we weren’t thrilled with two of the three trees in our backyard. In each back corner, there stood a tall, messy, bushy tree. We eventually found out they were oak trees, which made me feel a tiny bit guilty that I hated them so much. But, it was already decided that they would eventually have to go. And by eventually, I mean as soon as possible. The plan was to replace them with fruit trees and since it always takes several years for fruit trees to be established and actually start producing fruit, we wanted to get them in the ground ASAP. We went about finding a quote for a tree removal service. 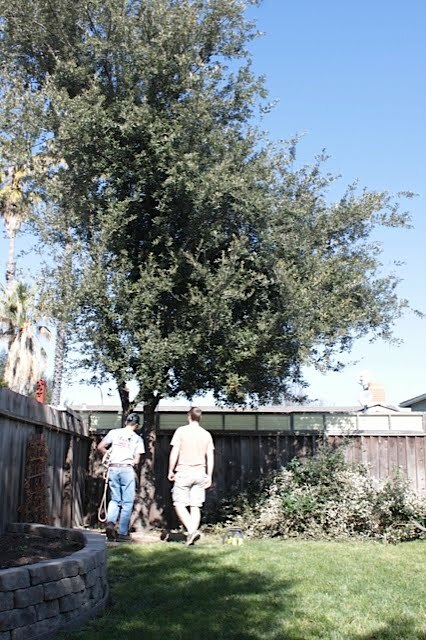 We were quoted $600 something dollars per tree. Egads…I guess I was actually expecting it to be even more, but still. It’s a lot of money. 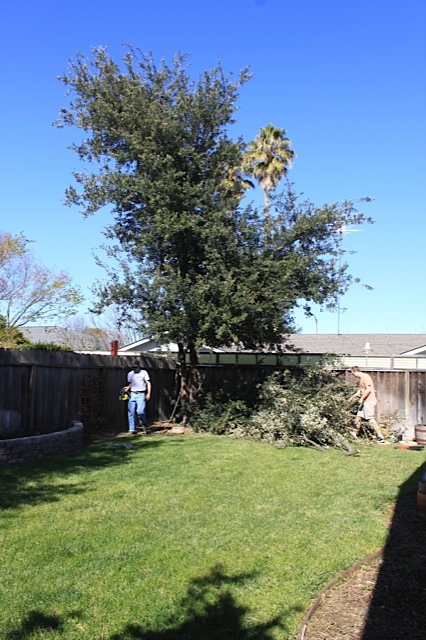 Then, our good friend Robert, who is a jack of all trades kind of guy and used to be an arborist told us that this tree removal project was “child’s play” and that he could have the tree down in an hour. We asked if he would help us in exchange for dinner, a bottle of scotch and our eternal gratitude. A deal was made and off to work we went. We were lucky that Saturday was a gorgeous day. 75 degrees with barely a breeze. Lovely! 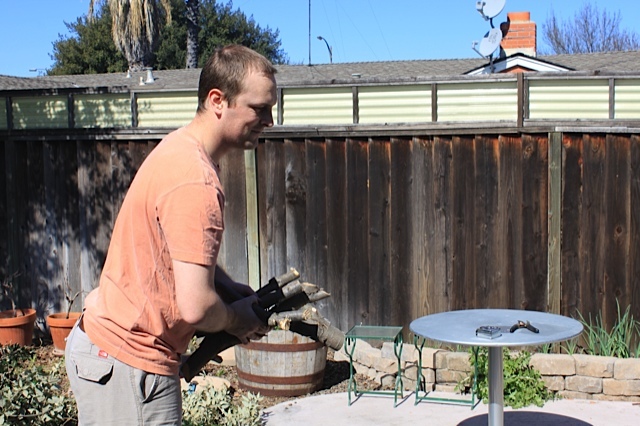 Robert prepared the chainsaw, borrowed from a neighbor. First few branches removed. 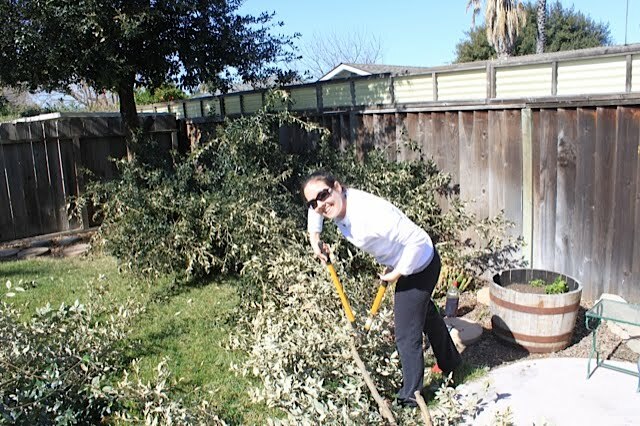 We could tell at this point that the real work was going to be cleaning up all the branches and leaves after the tree was down. You can’t see him, but Robert is up in the tree. 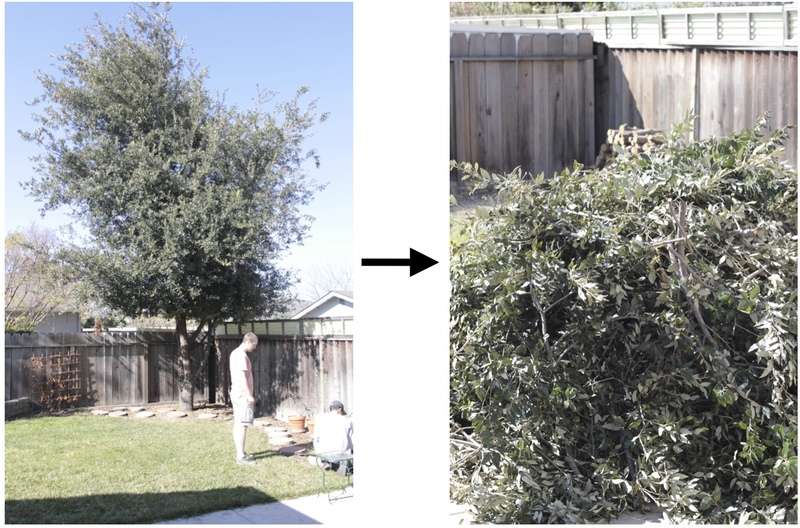 Quentin went down for a nap, so I got to work removing leaves from larger branches so we could keep those as kindling. 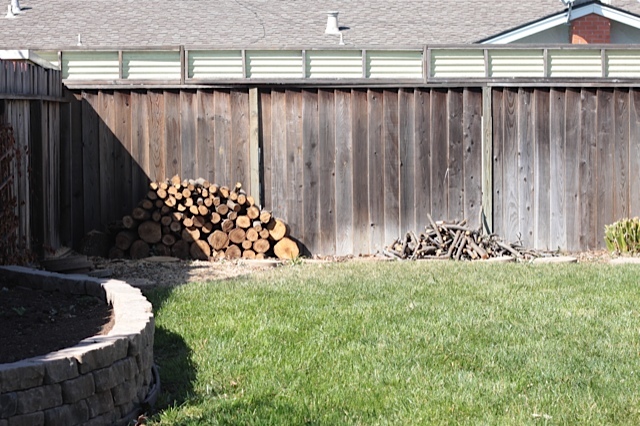 Robert, cutting up our firewood for next winter. 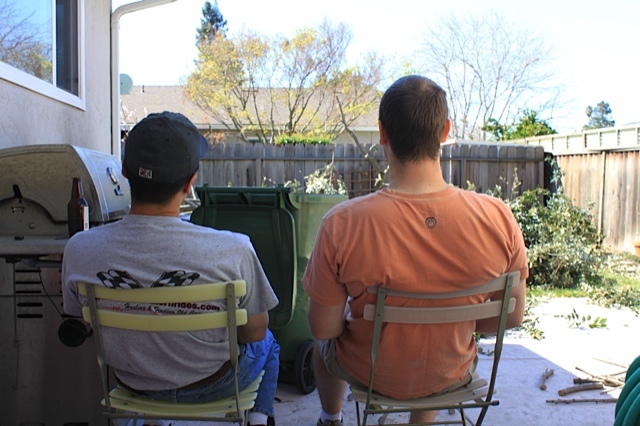 Time to get the rest of it down…devising a game plan. The guys, enjoying a well-deserved beer. Meanwhile, Quentin and I prepared lunch. Quiche Lorraine with a salad on the side. Complete with espresso and chocolate for dessert. 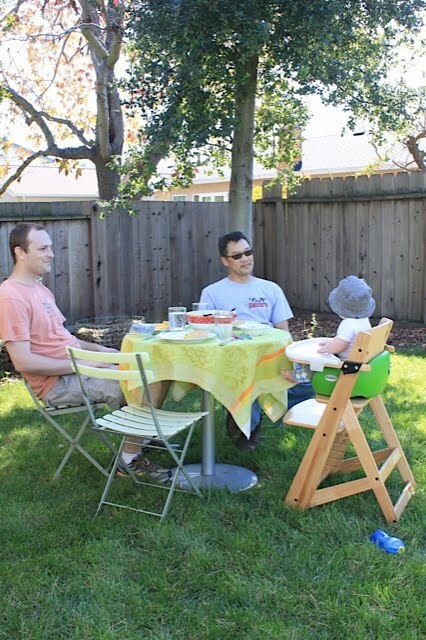 And, because it was so beautiful, we ate out on the grass. Quentin was excited for his avocado. Getting a taste of what spring feels like for the first time. 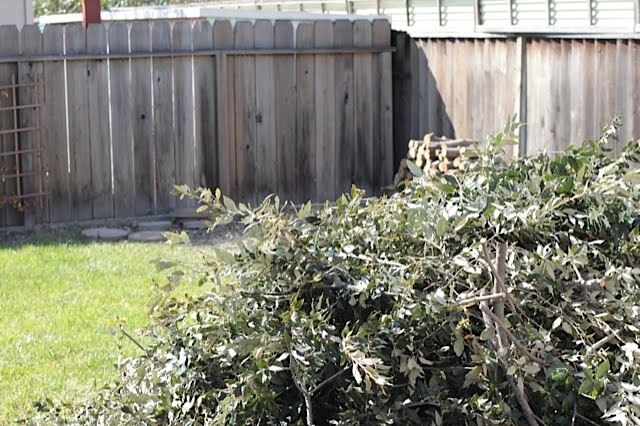 The big pile of branches is still on our patio, but luckily, we borrowed a brush chipper from a friend. 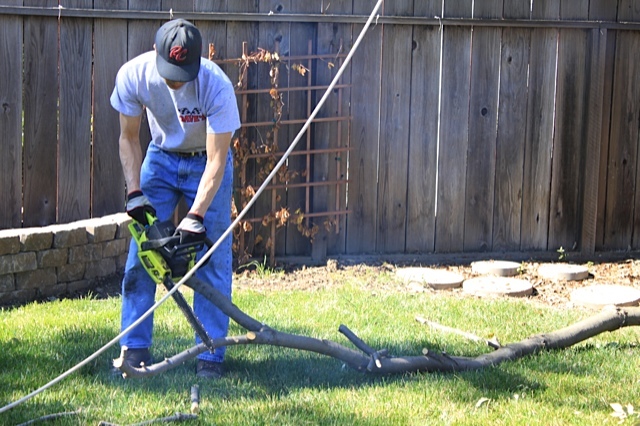 The plan is to make mulch out of the small branches/leaves, and to save the larger branches for kindling. Having the tree out really changes the look of our backyard. I wouldn’t say it’s for the better at this point, but I think it will be really nice once we get the stump removed and plant a fruit tree. 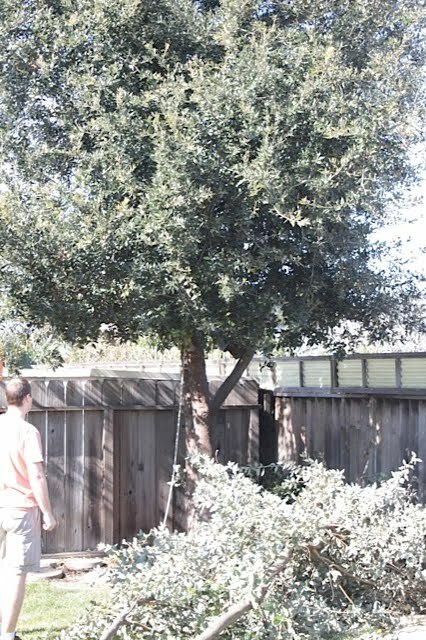 I’ve been dreaming about what kind of fruit tree we’re going to plant. I’m kind of thinking apricot right now, but my mind isn’t totally made up. Any suggestions? 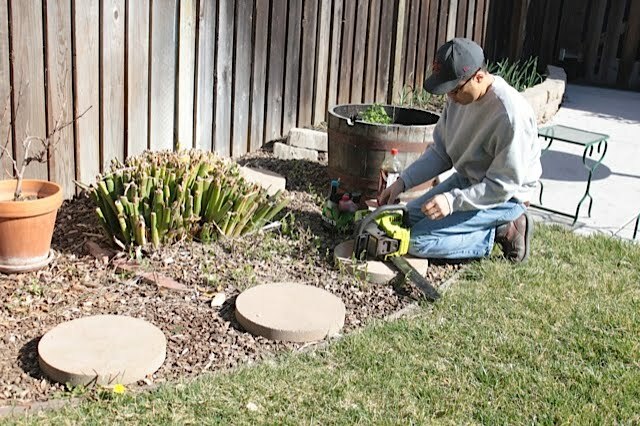 This entry was posted in backyard, DIY project, home improvment, photo on March 7, 2012 by seedsowingmama. 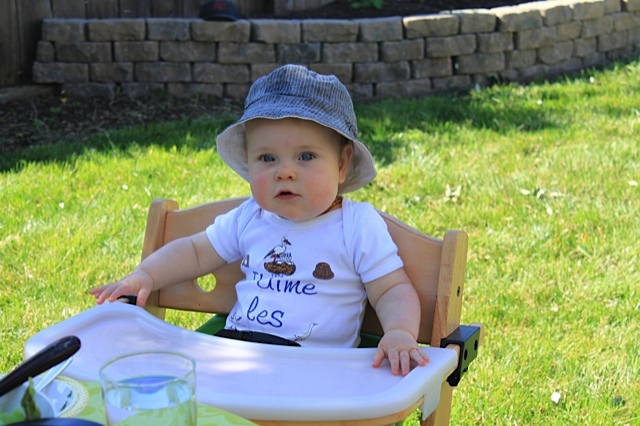 Quentin is 8 months old now, so I figure it’s high time he start pulling his weight around here. 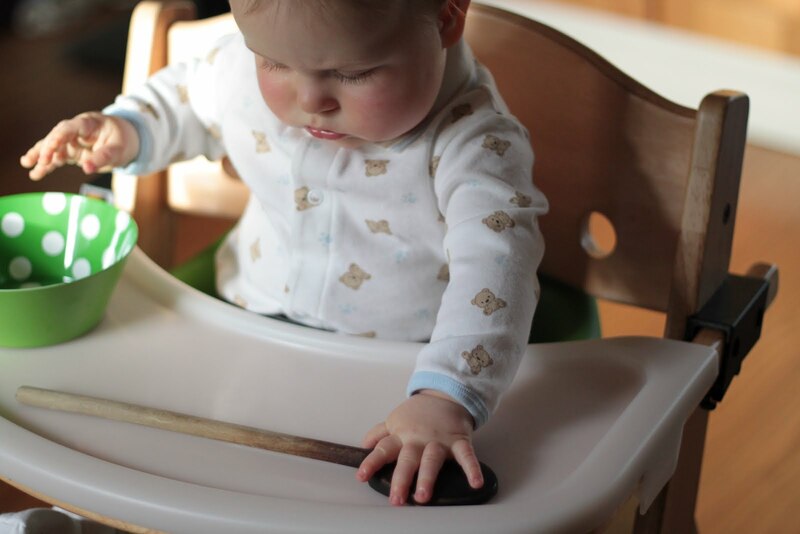 The other day, I pulled his high chair into the kitchen and he “helped” me bake a chocolate zucchini cake. He was a good little helper, although he sure did think it was fun to drop his bowl on the ground and have me pick it up. Hmm…what’s this. Looks like the one we use at dinner. Only HUGE! Oh yea, this is familiar. Now where’s the broccoli? Can I put this one in my mouth? Doh! I overshot a little there…that was bigger than I thought. 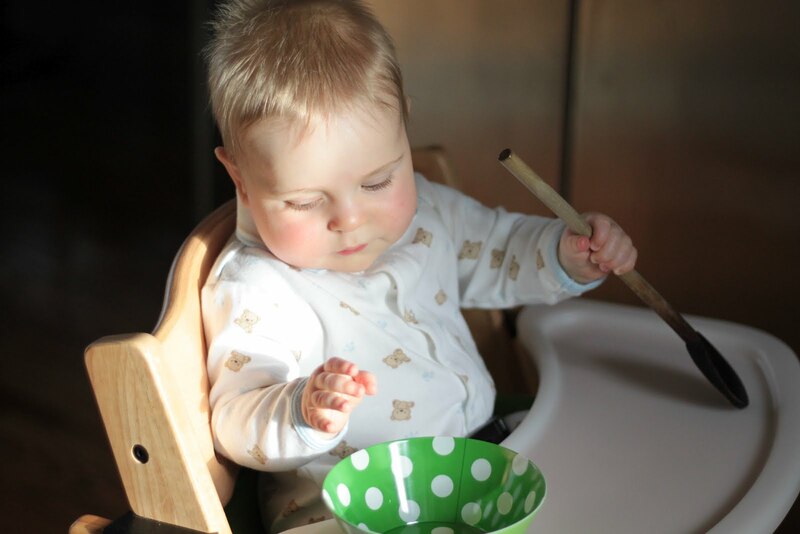 Oh little boy…so much to discover. We have so many days of cooking and baking together ahead of us! This entry was posted in baby-related, photo on March 1, 2012 by seedsowingmama.